You are here: Home / Latest Articles / OR and Odinism / Where To Now? 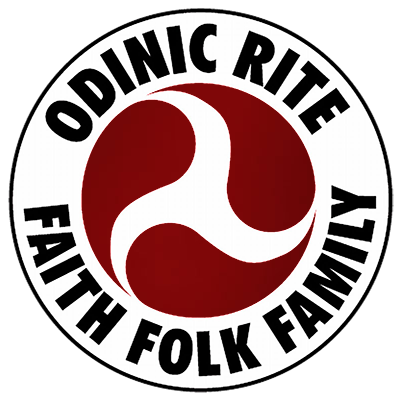 During my relatively short time in the Odinic Rite, I’ve seen some good folk come and some good folk go. This got me wondering. What brings people to the OR? What keeps them here? What occasionally prompts them to leave? I cannot look into the hearts and minds of my fellow kinsmen, but I can certainly delve deep into my own mind and attempt to come up with some answers. And maybe my thoughts may offer something to others. I feel that in the majority of cases the reasons for joining the OR are pretty straightforward. I’ve written before about my own gut feeling that the OR was right for me, but on more careful reconsideration I must be honest and state that at first I was in part seeking something radically different from the ‘norm’; albeit something that was mine. It was that simple. The myths were of interest because they were mine. The symbology was of interest because it was mine. For many years I had been told to accept what wasn’t mine, and I was so sick and tired of it I couldn’t have cared less if everything that wasn’t mine burned to ash. To a certain extent, I still feel that way. And during those occasional times when I am angry, I would positively enjoy the experience of seeing certain things crash and burn. But that begs the question(s) – am I in the OR because I don’t feel at home anywhere else, or because I am an angry person, or because I seek an alternative lifestyle? Or am I in the OR because it’s the right place for me despite my earlier life experiences? To put it another way, if everything else was right in the world, would I still be a member of the OR? That’s a tough question to answer, for it’s impossible to change history, but maybe it is possible that I wouldn’t have (subconsciously) looked for an organisation such as the Odinic Rite had I experienced something different during my earlier years. But this notion makes me wonder if the same things that brought me to the OR are the same things that keep me in the OR, and are they the reasons why I took the step of Profession? After some consideration, I believe OR membership is an evolutionary process, and the reason why we occasionally lose otherwise excellent members of our folk from the ranks of the OR is that while they may have been perfectly comfortable in their own earlier stages of Odinic evolution, the middle or later stages of this development don’t quite fit with that individual’s mind/soul/psyche at that particular stage in their personal evolution. Let me attempt to explain. An individual may join the OR in an act of rebellion, as at some level I did. That individual may be angry or may be sad at what he or she sees in their day to day world, and for these reasons they clutch at an organisation just as a drowning man clutches at a rock in stormy waters. But, to continue with that analogy, once on that rock, what is there for them? There is a certain calm after the maelstrom where the excitement and activity of finding a safe haven subsides and then… some form of progression is required. It has been said that life is a struggle, and once the struggle is over there is death. For folk such as me, the ‘struggle’ was to find the OR. Once I found it, what then? At this stage, some will get bored and look for a new struggle, which in their view for them means leaving the OR and looking elsewhere for new challenges. It doesn’t necessarily mean there is anything wrong with those people; indeed it is a perfectly natural response. But I see things in a different way and if there are others having these thoughts, perhaps this article can offer you some food for thought. My theory goes thus. If the first stage of the Odinic Rite evolutionary process is actually finding the OR, then the second stage would be finding a reason to stay. Good camaraderie is an obvious reason, but if one leaves amicably then it stands to reason that the friends one has made will endure. So while obvious, it is not an entirely valid reason in itself to stay. The next stage would involve making an effort to advance the OR, by putting thought into action, i.e. by writing articles or forming a Hearth and other forms of activism. If done in good faith, these things are a spiritual affair as well as a physical act, although one can of course go through the motions of such activity in a very positive and productive way without the need for a deeper understanding of that material undertaking. Are we merely picking up litter with a social at the end of the day or are we doing that activity in the belief that we’re the pioneers of a New Awakening? On the face of things who can tell? To the non-spiritual Odinist the task is merely an event; yet to the individual with a deeper understanding of what he or she is doing, it can be a very spiritual affair indeed. Without being too brutal in my writing, anyone with a pulse can attend a physical event – a camp, a social, even a blot. But after finding something that ‘fits’, what then? I have to stress this is an article written purely from my own perspective, and for me if I am not progressing there is no point. The Gods want us to be like them. I’m not a God and in all likelihood you’re not either, but if that’s what the Gods want then none of us will get there by standing still. I believe a great lesson from nature is that death comes to anything that doesn’t move forwards. A parent coaxes their child to walk towards them; the Gods want us to be like them. Do you understand what I’m trying to say? Advance! Advance! But how do we do this? I feel that in times past, present and future there are and will be many in the OR who get to that stage where they have ‘done things’ for the OR, and after a while it just doesn’t fulfil them spiritually enough to continue with their efforts and so they drift away. They don’t perhaps realise that there are other stages of progression. I must say, however, that passing though to a new ‘stage’ does not mean you have to or even should leave the old you behind. I’m still rather angry inside, just as I was when I found the OR. Secretly I quite like being angry; it helps get things done. It’s a ‘doing’ emotion providing there is an activity you can channel that anger into. I always want to write articles for the OR, and to continue with OR Media, for example. Think of it as building a house; you would never remove the first layer of bricks after placing down the first. But once you stop improving that building, it will start to decay; your only choice is when, if ever, to stop the improvements. There should be no psychological limits to our potential. Recently I have been surprised to learn how much I could lift in my home gym by just adding a little more weight to the bar each session. But when I stopped adding weight, the motivation to continue isn’t as strong as the continuous sense of achievement diminishes and I’m just going through the motions with little or no psychological reward for my efforts. Life is a fight, a grand struggle, an adventure into the unknown and we should relish the challenge, the fear and the possibilities of our journey; but every journey involves moving forwards. So what now in regards to our Odinic journey within the ranks of the OR? We’ve joined on a folkish impulse, we may have contributed in one form or another, but what next? More contributions? More time and effort expended in organising Folk Camps, more articles and music? Of course that is admirable, but (and I do not mean to trivialise these excellent efforts nor suggest they should stop) it’s still in a way just more of the same productivity wise rather than an actual advancement. Note that I am talking about personal Odinic evolution as a whole; but of course each part of the OR can, should and must evolve separately as a part of that whole. I believe the next stage after physical action on our Odinic evolution is spiritual exploration, and I have been considering this for some time. Apart from my personal daily rituals and Hearth blotar, I have not yet properly delved deeper into this area. I have attempted meditation over the years and to be honest I have found it hard to find the time, what with work and a young family to attend to. But sitting now and writing this article for ORB, I feel I must make this next step forward, for it is a logical step and one I silently yearn for. I have had some thoughts on how to undertake this new challenge. I’d like to attend a ‘Runic Camp’, or a ‘Meditation Camp’ where I (maybe I will go alone, maybe with others) venture into a wild place and quieten my mind. I feel this will be a worthwhile exercise, but if it is to be done right in the long term, I shall have to find a regular time slot to mediate and explore Odinism at a deeper level. Can this be done? Of course it can. Even if I have to get up twenty minutes earlier every day to do it. I can imagine leaving for work early, pulling my car into a quiet place and meditating. Or before I go to sleep at night. There are twenty-four hours in everybody’s day and it’s our choice how we use that time. Maybe you do not feel the need to move to this stage just yet. But I hope that if there are OR members out there who feel that they have come to a brick wall psychologically speaking, then maybe this article can inspire you to move forwards in a way you hadn’t previously considered. And perhaps there are ever more stages to this Odinic journey; stages that I cannot comprehend just yet. And if that is the case, I find it exciting, for who knows what’s around the next corner. Furthermore, why on Midgard would we want to stop the journey when it’s only just got underway? If we are Odin’s folk then Odinism is our natural home and I can think of no better place to be than within the ranks of the OR. We have everything here; good folk, a solid and ever improving infrastructure and a common sense ‘modern world’ approach to religion. It is our duty to help and encourage the OR to grow, but it is our duty to grow spiritually ourselves too. In a billion years when our Sun has faded and died, will we have faded and died ourselves or will we have evolved and become like our Gods? Evolution works by taking small but significant steps forward, and if we have truly learnt from nature then we’ll begin our advance immediately. Anger, passion, a reason for existence, hard work and spiritual evolution. Those things will aid us in our journey towards a New Awakening. https://i2.wp.com/odinic-rite.org/main/wp-content/uploads/blank-sign-1316376.jpg?fit=1200%2C793&ssl=1 793 1200 Hengest http://odinic-rite.org/main/wp-content/uploads/2016/05/or-badge400-transp.png Hengest2014-07-25 21:37:042018-11-16 22:28:46Where To Now?